After the new low-end M-series, Samsung will be aiming for lower prices of its midrangers, too, claims Korean media today. In its never-ending quest to fight the onslaught of Chinese brands in the low- and mid-range segment that are eating its lunch, Samsung is preparing to keep production costs in check and lower the prices of its upcoming A-series phones by equipping them with LCD displays. 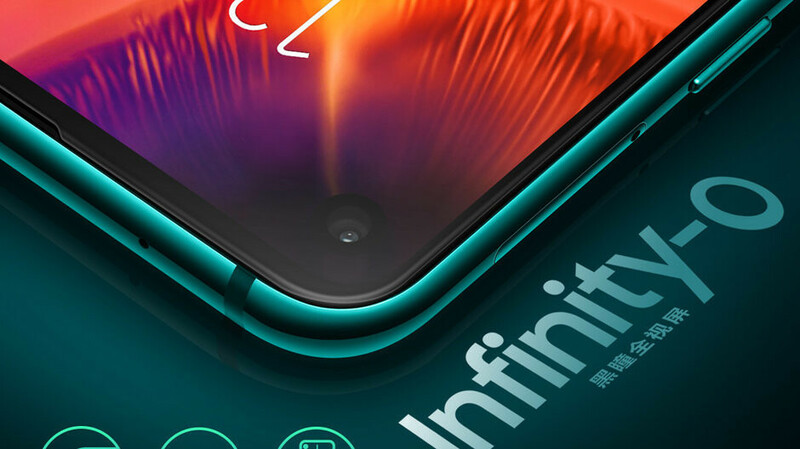 The Infinity-O screen of the Galaxy A8s that was announced not long ago sports a largish selfie camera opening in the screen itself which seems to be much bigger than what the leaked renders of the Galaxy S10 are sporting. That's because the A8s is the first in the upcoming new A-series of Samsung phones with an LCD panel. That technology needs a backlighting layer and doesn't allow for a more compact camera opening as OLED screens do. Such hole-in-display Infinity-O tech is evidently still achievable with LCDs, though, while using such a panel can allow Samsung to lower the price of the phone compared to equipping it with an OLED screen. The upcoming Galaxy A10 to A60 models will allegedly also sport the cheaper to produce LCD displays, and, since these sell in no insignificant numbers, Samsung is expected to order millions of such panels from Chinese makers like BOE. As to why the A-series would go from A10 to A60 and above is a mystery, but the report adds that the "Galaxy A series will be expanded to broaden the customer base." We don't mind, as long as Samsung manages to lower its midrange prices which haven't been commensurate with the direct competition for a good while now. The J-, On- and C-series that are currently Samsung's low-end phones will be consolidated into one budget M-series which will mostly sport LCD displays as well. Apple is also expected to launch the iPhone XR successor with an LCD display again, though this might be the last year it uses the technology before a grand all-OLED redesign of 2020 kicks in. Coincidentally, next year is expected to see OLED phones outpacing their LCD counterparts, too. When people see the deep black of OLED panel they surely won't see the same black again on the LCD, even they're using good quality of LCD screen for along time. Shhhh!! iPhone LCD are the best and better than oled according to the herd. I don't see much advantage of oled in mid and low range phones. But it's a must in flagships. Oled or lcd, it doesn't matter with Samsung. They'll put crappy socs in them anyway. That's where the real issue is. What happend to 2 years ago old news that oled became cheaper to produce then LCD? Samsung has to realise not only phones have to look nice, which they do, but phones have to be maintained and provided some real improvements rather than gimmicks. It is extremely difficult to compete these days since at least 3-4 brands do it better than Samsung. Nokia, Huawei/Honor, Xiaomi. It was meant to be mid range segment.